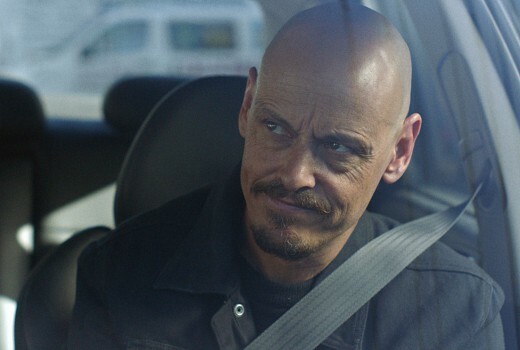 As far-fetched as it sounds, Mr. Inbetween‘s Scott Ryan has written and starred in his first series, without any previous acting experience. Splashing down onto FX in the US, Ryan is seemingly an overnight success at the age of 49. Prior to the series he was juggling all kinds of intermittent jobs. “Delivering pizzas, driving taxis, unemployed, a bit of this, bit of that really…” he laughs. Acting alongside seasoned professionals Damon Herriman, Brooke Satchwell, Matt Nable, Firass Dirani and Justin Rosniak, Ryan remembers being daunted by the technical aspects of filming, including finding his mark. “I’d never done that before. I said, ‘What’s this tape on the floor?’” he recalls. “It was scary walking on set that first day. I haven’t been on a set before, worked with a crew, been directed by somebody else or worked with professional actors before. It’s like I just walked in off the street. Ryan was studying film and television at RMIT when he begged and borrowed to make his self-devised feature The Magician centred around his hitman character Ray Shoesmith. But the film struggled to gain attention so he re-edited it into a short on his bedroom IMAC and screened it as at the St. Kilda Film Festival. There it caught the attention of director Nash Edgerton (Gettin’ Square) who was so excited by the character he became attached to the project. “Is it luck, fate or destiny? Nash was in the audience so I think we were meant to meet each other,” he explains. Remarkably, for the 6 part series, Ryan rewrote an entire new script around the character. “Nothing in the feature is in the show. It’s completely new material,” he continues. The half-hour series has drawn positive reviews in the US noting its dark comic tone as well as Ryan’s performance. FX is screening the Australian series without any revoicing and letting the Aussie vernacular and lingo playout unaffected. “Usually (Americans) take a show and remake it, so it’s rare for an Aussie show to premiere on a network like this in the US. So I think that speaks volumes that they love the show,” Ryan observes. “As far as the vernacular goes, it reminds me of Crocodile Dundee. You can’t a much more Aussie character than that, and that played really well in the US. “There are some minor things, but on the whole there’s a lot of universal themes in there. While he awaits word on a second season, Ryan has other scripts he wants to dust off, both film and television. Fingers crossed they won’t take the decade it took for Mr. Inbetween to make it to screens. But he believes his anonymity is also a positive in helping audiences with the character’s credibility too. “People won’t see me. They will see Ray. They won’t see Scott Ryan, which is good. 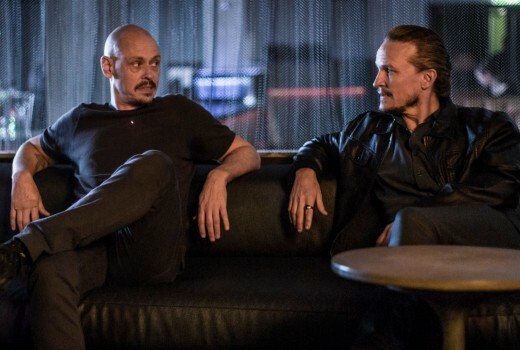 Mr. Inbetween airs 8:30pm Mondays on FOX Showcase. Watched the first two episodes last night and really enjoyed it. Liked the way the story flowed without the need to fill in blank spaces.